As the Liberal government proposes changes that would see asylum seekers turned back if they have already made claims in the U.S. and some other countries, refugee lawyer Jamie Liew says Canada should trust in the refugee system as it is. Canada's asylum laws are facing big changes. And you can find them, if you know where to look, tucked into a sprawling, 392-page omnibus budget bill, tabled on Monday. The changes would prevent asylum seekers from getting a refugee hearing in Canada if they've already made similar claims in a country with a refugee determination processes Canada considers fair and humane, including the U.S. — a process that Border Security Minister Bill Blair has called "asylum-shopping." But refugee advocates are calling the asylum law changes unconscionable, undemocratic — and possibly unconstitutional. 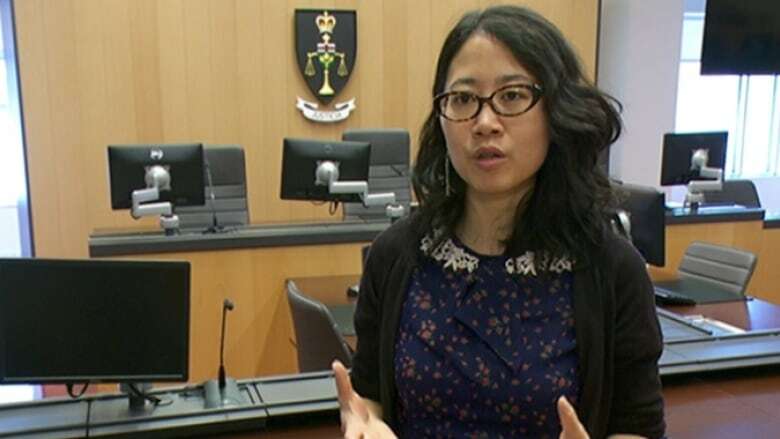 Jamie Liew, a refugee lawyer in Ottawa, spoke to As It Happens host Carol Off about the message this sends about Canada's stance toward refugees. Here is part of their conversation. I want to take you back a few years to when [Prime Minister] Justin Trudeau told asylum seekers, told the world: Canadians will welcome you. Has that message changed? I think it's very interesting that even still today this government is really celebrating the resettlement program of refugees on the one hand, and then on the other hand is really constraining and restricting and taking away ways in which refugee claimants can make their claims in Canada. There are those who claim that the 40,000 people who have crossed the border into Canada have done so because Mr. Trudeau put out that welcome mat. They regard it as somehow that we are just being invaded by people who are not using legitimate means to enter the country. What do you say to that? I think that we forget that there has always been people coming to our border. Numbers have increased over the last few years. That is true. But that could be due to a number of other reasons other than the prime minister's statements. It could also be due to the climate that exists in the United States and to the fact that there isn't a welcoming presence for migrants, or for racialized persons for that matter, in the United States. So it is not all solely on the shoulders of the prime minister. But I do think that there are world events outside of our control, even beyond the United States, that are driving people to seek safe haven. Canada has a history of receiving people at our official ports of entry. We should trust in that system. It works really well and we should really be continuing to use those mechanisms that are in place, and that are really, in some ways, the gold standard in the world. How will these these proposed changes ... change the way those people who do arrive at our border are treated? There are some significant changes that are being brought under the omnibus bill, and to be frank, a shocking way to bring in some changes that aren't going to see the same kind of parliamentary scrutiny that we would see normally. I think it's concerning because it really means when it comes down to it, a whole category of persons may not even have their claim heard — from having an opportunity to put their story forward, to have their claim assessed and determine whether or not these people really are at risk. And it means that Canada may be in danger of violating its international legal obligations when it comes to the rights of refugees. The argument is that if you are in trouble, if you are fleeing persecution and you're looking for safety, then any port is good in a storm. And if you have arrived in one of these "safe third countries" like the United States, then you make your claim there and you don't keep going, you don't do "asylum shopping," as they call it. We can't consider the United States to be a safe country when it comes to refugee claimants and asylum seekers. And I can give you examples. The United States has foreclosed the opportunity for people to make claims based on domestic violence or gender related claims. They are detaining people who are making refugee claims. They're prosecuting refugee claimants for not entering the United States through an official port of entry. 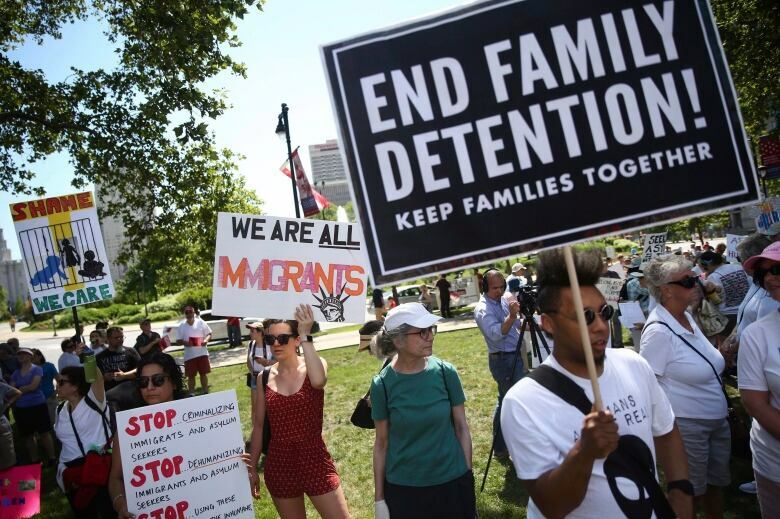 They were separating children from their parents, and they're detaining children as well. Do you think this is something that the Trudeau government wants to put out there while it's campaigning so they can point to this as being some way that they're going to stop the flow of refugees, which is perhaps politically popular in some parts of the country? I certainly think it might be a political ploy. But I do think that this government has enforced a Safe Third Country Agreement. It has expressed interest in closing the so-called loophole. It's expressed interest in using more enforcement mechanisms. I don't see this as simply rhetoric. And, in fact, it is retroactive to now. So we're seeing lawyers discussing right now how does this affect my client now. Because we know that once this budget bill is passed, there are serious consequences that are going to play out for people already in the country. Written by Sarah-Joyce Battersby. Produced by Jeanne Armstrong. Q&A has been edited for length and clarity. Does ear-piercing infringe on a child's right to have agency over their own body?